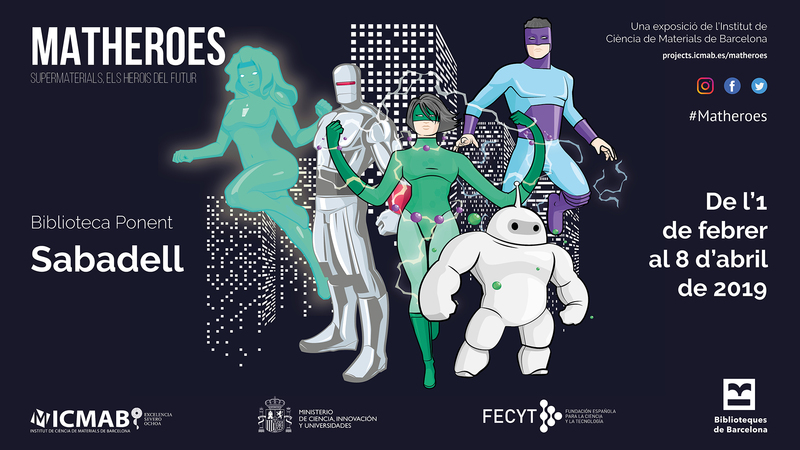 The Matheroes project, financed with the collaboration of the FECYT, started last year and has been travelling during 2018 and part of 2019 to different places, including Libraries! 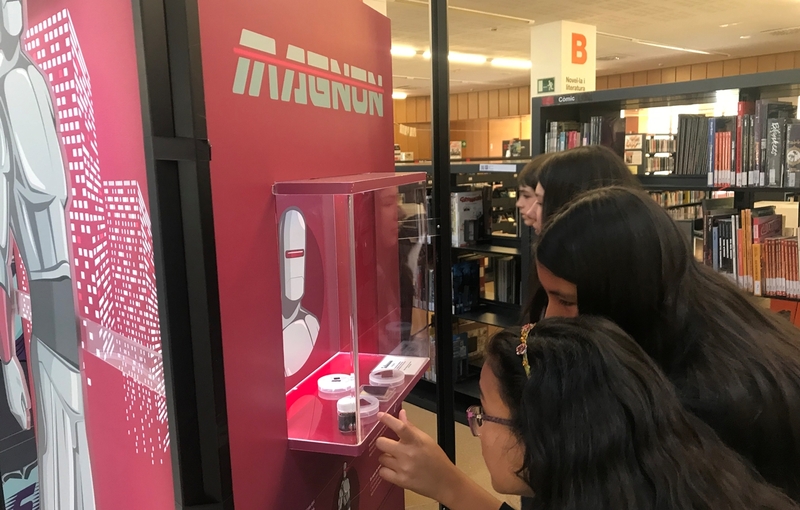 Since 1 February 2019 the exhition can be seen at the Ponent Library in Sabadell, and on Firday, 29 March 2019, some of our researchers went their to present the project to a group of 50 students from Sabadell. The talk started at 10 am with Anna May Masnou, who introduced the project, and the worked done at ICMAB in materials science, in the fiels of energy, electronics and nanomedicine. Núria Crivillers then introduced "ElectroWoman" and the research in molecular electronics and their applications. The students were amazed by the flexible solar cells that could, in a future, charge our cell phones while travelling, or by the flexible sensors that are sensitive to light, temperature or pressure. After Núria, Juan Luis García Pomar introduced "Fotoenergy" and the concept of light. The students could see how UV light is used to detect hidden signals in passports, or the science behing metamaterials. After the talk, the students could touch and play with some of the materials, and visit the exhibition in the hall of the Library. Thank you to the Ponent Library for hosting us, and to the school for coming and spending a nice time together!